We dedicate this book to our wives Louise Enochs and Claudine Jenda. 1 Complexes of Modules 1.1 Deﬁnitions and Basic Constructions 1.2 Complexes Formed from Modules . 1.3 Free Complexes . . . . . . . . . . . 1.4 Projective and Injective Complexes . 1.5 Exercises . . . . . . . . . . . . . .
2 Short Exact Sequences of Complexes 2.1 The Groups Extn .C; D/ . . . . . 2.2 The Group Ext1 .C; D/ . . . . . . 2.3 The Snake Lemma for Complexes 2.4 Mapping Cones . . . . . . . . . . 2.5 Exercises . . . . . . . . . . . . .
3 The Category K.R-Mod/ 3.1 Homotopies . . . . . . . . . 3.2 The Category K.R-Mod/ . . 3.3 Split Short Exact Sequences 3.4 The Complexes Hom.C; D/ 3.5 The Koszul Complex . . . . 3.6 Exercises . . . . . . . . . .
4 Cotorsion Pairs and Triplets in C.R-Mod/ 4.1 Cotorsion Pairs . . . . . . . . . . . . . 4.2 Cotorsion Triplets . . . . . . . . . . . . 4.3 The Dold Triplet . . . . . . . . . . . . 4.4 More on Cotorsion Pairs and Triplets . . 4.5 Exercises . . . . . . . . . . . . . . . .
5 Adjoint Functors 5.1 Adjoint Functors . . . . . . . . . . . . . . . . . . . . . . . . . . . . 5.2 Exercises . . . . . . . . . . . . . . . . . . . . . . . . . . . . . . . .
6 Model Structures 6.1 Model Structures on C.R-Mod/ . . . . . . . . . . . . . . . . . . . . 6.2 Exercises . . . . . . . . . . . . . . . . . . . . . . . . . . . . . . . .
7 Creating Cotorsion Pairs 7.1 Creating Cotorsion Pairs in C.R-Mod/ in a Termwise Manner 7.2 The Hill Lemma . . . . . . . . . . . . . . . . . . . . . . . . . 7.3 More Cotorsion Pairs . . . . . . . . . . . . . . . . . . . . . . 7.4 More Hovey Pairs . . . . . . . . . . . . . . . . . . . . . . . . 7.5 Exercises . . . . . . . . . . . . . . . . . . . . . . . . . . . .
8 Minimal Complexes 8.1 Minimal Resolutions . . . . . . . . . . . . . . . . . . . . . . . . . . 8.2 Decomposing a Complex . . . . . . . . . . . . . . . . . . . . . . . . 8.3 Exercises . . . . . . . . . . . . . . . . . . . . . . . . . . . . . . . .
9 Cartan and Eilenberg Resolutions 9.1 Cartan–Eilenberg Projective Complexes . . 9.2 Cartan and Eilenberg Projective Resolutions 9.3 C–E Injective Complexes and Resolutions . 9.4 Cartan and Eilenberg Balance . . . . . . . 9.5 Exercises . . . . . . . . . . . . . . . . . . In this chapter, we will consider categories of complexes of modules and will give some of their basic properties. We characterize the projective and injective objects in these categories and prove the complex version of the Baer criterion. In what follows R will be a ring. Deﬁnition 1.1.1. By a complex of left R-modules we mean a pair ..Cn /n2Z ; .dn /n2Z / where each Cn is a left R-module and where dn W Cn ! Cn1 is a linear map such that dn1 ıdn D 0 for all n 2 Z. We usually abbreviate and denote ..Cn /n2Z ; .dn /n2Z / as .C; d / or simply as C (with d understood). We call d the differential of C and the modules Cn the terms of C . Remark 1.1.2. If it is convenient to use superscripts instead of subscripts we let C n D Cn and d n D dn . So we have d n W C n ! C nC1 . However, we will frequently use superscripts to distinguish complexes. So we will let .C i /i2I denote a family of complexes indexed by i 2 I . It is convenient to assume that for a complex S C we have Cn \ Cm D ; when n ¤ m. So then we take x 2 C to mean x 2 n2Z Cn and we write deg.x/ D n if x 2 Cn . We note that in actual practice we may have Cn P \ Cm ¤ ; with nS¤ m. The cardinality (denoted jC j) of complex C is deﬁned to be n2Z jCn j, i.e. j n2Z Cn j. Sometimes we need to distinguish the differentials of various complexes. To do so we often use the obvious conventions. So for example, we might let d and d 0 be the differentials of C and C 0 . Another convention is to use d C to indicate the differential of the complex C . Many results for modules easily carry over to complexes. So we will often limit ourselves to stating results without proofs. But we suggest that the reader who is less familiar with complexes check these out. In the rest of the chapter, by “complex” we mean a complex of left R-modules for some ring R. Similarly “module” will mean a left R-module. We will let R-Mod denote the category of left R-modules. It is easy to check that with this deﬁnition we get an additive category. This category will be denoted C.R-Mod/. 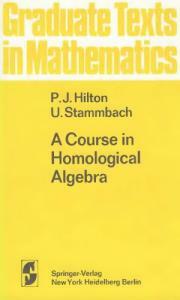 So HomC.R-Mod/ .C; D/ will denote the abelian group of morphisms f W C ! D. The notation C 2 C.R-Mod/ will mean that C is a complex of left R-modules. If R is a commutative ring, r 2 R and f W C ! D is a morphism in C.R-Mod/, then rf W C ! D deﬁned by .rf /.x/ D r.f .x// for x 2 C is a morphism in C.R-Mod/. So we see that when R is a commutative ring, HomC.R-Mod/ .C; D/ can be made into an R-module. Deﬁnition 1.1.4. If C D ..Cn /; .dn // (we omit the n 2 Z) is a complex, then C 0 D ..Cn0 /; .dn0 // is said to be a subcomplex of C if Cn0 is a submodule of Cn for each n and if dn agrees with dn0 on Cn0 . If C 0 is a subcomplex of C , we write C 0  C . If .C i /i2I is a family of subcomplexes Tof C , there are P obvious subcomplexes of C that will be represented by the symbols i2I C i and i2I C i . To say that C is the direct sum of a family .C i /i2I of subcomplexes will have the obvious meaning. And so then to say that a subcomplex S  C is a direct summand of C will also have the obvious meaning. If S  C is a direct summand, then for each n 2 Z, Sn is a direct summand of Cn . However it may happen that Sn is a direct summand of Cn for each n without S being a direct summand of C . If S  C is a subcomplex, then for any n 2 Z, dn W Cn ! Cn1 induces a map Cn =Sn ! Cn1 =Sn1 . With these maps we get a quotient complex which will be denoted C =S. If f W C ! D is a morphism of complexes, then we check that dn .Ker.fn //  Ker.fn1 /. This shows that we get a subcomplex of C whose nth term is Ker.fn /. This subcomplex will be denoted Ker.f /. In a similar manner, we get a complex denoted Im.f / with Im.f /  D. So then we get the complexes Coker.f / D D= Im.f / and Coim.f / D C = Ker.f /. Jenda [8, Section 1.3]). We say a diagram C 0 ! C ! C 00 of complexes is exact if Im.f / D Ker.g/. So for each n 2 Z, Cn0 ! Cn ! Cn00 is an exact sequence of modules. We then generalize this notion to longer sequences of complexes. So, for example, C 1 ! C 2 ! C 3 ! C 4 is exact if and only if C 1 ! C 2 ! C 3 and C 2 ! C 3 ! C 4 are both exact. An exact sequence of the form 0 ! C 0 ! C ! C 00 ! 0 is called a short exact sequence of complexes. Deﬁnition 1.1.5. By the suspension of a complex C we mean the complex denoted S.C / where S.C /n D Cn1 and whose differential is d where d is the differential S.C / C D dn1 for any n). Then we deﬁne S k .C / for any k 2 Z of C (more precisely, dn k in the obvious fashion with S .C /n D Cnk . Note that HomC.R-Mod/ .S.C /; D/ Š HomC.R-Mod/ .C; S 1 .D// for any C and D. More generally, we have HomC.R-Mod/ .S k .C /; D/ Š HomC.R-Mod/ .C; S k .D// for any k 2 Z. If f W C ! D is a morphism, we get a morphism S.C / ! S.D/ denoted S.f /. So S.f /n .x/ D fn1 .x/ for x 2 Cn1 . Hence S is an additive functor from C.R-Mod/ to S.R-Mod/. In fact it is an automorphism of the category C.R-Mod/. If C is a complex, we see that we have a subcomplex denoted Z.C / of C where Z.C /n D Ker.dn / for each n. Note that the differential of Z.C / is 0. Similarly we deﬁne a subcomplex B.C /  C where B.C /n D Im.dnC1 /. Since dn ıdnC1 D 0, we get B.C /n  Z.C /n and so B.C / is a subcomplex of Z.C /. The quotient complex Z.C /=B.C / is denoted H.C /. The elements of Z.C / are called the cycles of C and the elements of B.C / are called the boundaries of C . The groups H.C /n are called the homology modules of C . The modules Z.C /n , B.C /n and H.C /n are usually denoted Zn .C /, Bn .C / and Hn .C /, respectively. So then we have Hn .C / D Zn .C /=Bn .C /. The complex C is said to be exact if H.C / D 0, or equivalently if Ker.dn / D Im.dnC1 / for all n 2 Z. We can regard Z; B and H as additive functors C.R-Mod/ ! C.R-Mod/ where Z.f /, B.f / and H.f / for a morphism f W C ! D are deﬁned in a natural fashion. If f W C ! D is an isomorphism of complexes, then H.f / W H.C / ! H.D/ is also an isomorphism. The converse is not true in general. Deﬁnition 1.1.6. A morphism f W C ! D is said to be a homology isomorphism if H.f / W H.C / ! H.D/ is an isomorphism. L L i For of complexes .C i /i2I we have Z. i2I Ci/ D i2I Z.C / and L a family L L L i i i i B. i2I C / DQ i2I B.C /. Hence H. i2I L C / Š i2I H.C /. The analogous result holds for Qi2I C i . Hence we see that i2I C i is exact if and only if each C i is exact and that i2I C i is exact if and only if each C i is exact. Deﬁnition 1.1.7. We refer to Deﬁnitions 1.5.1 and 1.5.2 and Theorem 1.5.3 of Volume I. Just as for modules we can deﬁne a direct system .C i ; .fj i // (with i; j 2 I , I a direct set) of complexes of left R-modules. Then we can form the direct (or inductive) limit lim C i and we get the usual universal property associated with the ! morphisms C j ! lim C i . ! Proposition 1.1.8. For a direct system .C i ; .fj i // in C.R-Mod/, we have an isomorphism H.lim C i / Š lim H.C i /: ! Proof. The maps C j ! lim C i give maps H.C j / ! H.lim C i /. So we get a map ! of the limit of the direct system .H.C i /; H.fj i // into lim H.C i /, i.e. a map ! lim H.C i / ! H.lim C i /: ! It is then a simple direct limit argument to get that this map is an isomorphism. We note that this result gives that if each C i in such a system is exact then so is lim C i . !  ! 0 ! M ! M ! 0 !  where the two M ’s are in the 1st and 0th place. We let M denote the complex  ! 0 ! M ! 0 !  with M in the 0th place. Note that M is a subcomplex of M and that M =M D S.M /. Deﬁnition 1.3.1. By a graded set X we mean a family of sets .Xn /n2Z . If we assume (as we Susually will) that Xn \ Xm D ; if n ¤ m, then we write x 2 X to mean x 2 n2Z Xn and we write deg.x/ D n if x 2 Xn (the notation jxj D n is also used). For graded sets X and Y we deﬁne X [ Y and X \ Y in the obvious way. If X and Y are graded sets, by a morphism f W X ! Y of degree p 2 Z we mean a family .fn /n2Z of functions fn where fn W Xn ! XnCp for all n 2 Z. So then if f W X ! Y has degree p and g W Y ! Z has degree q, then g ı f W X ! Z has degree p C q. So we get a category with Hom.X; Y / denoting the set of morphisms X ! Y (of any degree). So we see that in this category, Hom.X; Y / has the structure of a graded set with Hom.X; Y /p being the set of morphisms f W X ! Y of degree p. If X is a graded set, we deﬁne the suspension S.X / as we did for complexes. So S.X /n D Xn1 . And then we deﬁne S k .X / for any k 2 Z. P By the cardinality of a graded set X (denoted jX j or card.X /), we mean n2Z jX jn P (or n2Z card.Xn /). “Forgetting” the obvious things we see that a complex C gives rise to a graded set. Then the differential d W C ! C is a morphism of degree 1. If X is a graded set and C a complex, X  C will mean Xn  Cn for all n 2 Z. Deﬁnition 1.3.2. If X is a graded subset of the complex C , we say S  C is the subcomplex generated by X if S is the intersection of all subcomplexes of C that contain X . C is said to be a ﬁnitely generated complex if there is a ﬁnite set X  C that generates C . Deﬁnition 1.3.3. A complex F is said to be a free complex with base B if B  F is a graded subset of F such that for any complex C and any morphism B ! C of graded sets of degree 0, there is a unique morphism F ! C of complexes that agrees with the morphism B ! C . We say F is free if it has a base. Example 1.3.4. The complex R D ! 0 ! 0 ! R ! R ! 0 ! 0    is free with the base B consisting of the 1 2 R of degree C1. Now we note that if F is free with base B  F , then for any k 2 Z, S kL .F / is free with base S k .B/. Also, if .F i /i2I is any family of free complexes, then i2I F i is also free. Using these observations we see that we can construct a free complex F with base B such that each jBn j is some speciﬁed cardinal number. Proposition 1.3.5. Given any complex C , there is a free complex F and an epimorphism F ! C . Proof. It sufﬁces to ﬁnd a free F with a base B such that jBn j  jCn j. Then there is a degree 0 epimorphism B ! C (of graded sets). So the corresponding F ! C is necessarily an epimorphism. Deﬁnition 1.3.6. A complex C is said to be ﬁnitely presented if there is an exact sequence Q!P !C !0 with Q and P ﬁnitely generated free complexes. The argument for the next result is like the argument when we use modules instead of complexes. Proposition 1.3.7. If C is a ﬁnitely presented complex in C.R-Mod/ and .C i ; .fj i // is a direct system in C.R-Mod/, then Hom.C; lim C i / Š lim Hom.C; C i /: ! can be completed to a commutative diagram by a morphism P ! C . Proposition 1.4.2. Any free complex F is projective. C Then ﬁnd the corresponding linear F ! C .
cannot be completed to a commutative diagram. So S.R/ (and so also S 1 .S.R// D R/ is not a projective complex even though each term of S.R/ is a projective module.    ! 0 ! Zn1 .P / ! Zn1 .P / ! 0 !    L i.e. P Š n2Z S n1 Zn1 .P /. This gives c). c) ) a) follows from the observation that every S n .P n / is projective. extend S \ M1 ! E to M1 ! E. But then the linear maps S ! E, M1 ! E agree on S \ M1 and so can be combined to give a linear map M1 C S ! E. But since M1 ˚0  M1 CS , we have M1 CS D M1 ˚T for some T  M2 . Extending T ! E and combining with M1 C S D M1 ˚ T ! E, we get the desired M1 ˚ M2 ! E. Using this argument and Zorn’s lemma we get Proposition 1.4.10. IfL E is injective for each Mi in some family .Mi /i2I of modules, then E is injective for i2I Mi . So by the observation that E is injective if and only if it is injective for every free module and using the fact that a free module is the direct sum of copies of R we get the Baer criterion for modules, i.e. E is injective if and only if E is injective for R. Modifying these arguments we get the complex version of this criterion. Theorem 1.4.11. A complex E is injective if and only if it is injective for each S n .R/. Note that subcomplexes of RN are of the form    ! 0 ! I ,! J ! 0 !    were I; J are left ideals of R.
2. We say that a complex C is cyclic if there is an x 2 C that generates C (and then we say x is a generator of C ). a) Find all cyclic complexes (where R is any ring) b) Let R D Z and let C and D be cyclic complexes. Find necessary and sufﬁcient conditions in order that C ˚ D be cyclic. c) Find all rings R for which it holds that every subcomplex of a cyclic complex (over R) is cyclic. 3. Show that every projective complex P ¤ 0 has a subcomplex that is not projective. 4. Show that the ring R is left Noetherian if and only if every direct sum of injective complexes is injective. 5. If a complex C is the direct sum of its subcomplexes S and T , argue that for each n 2 Z, Cn is the direct sum of Sn and Tn . Find a counterexample to the converse of this claim. 17. Let R D Z=.4/ and let C D    ! Z=.4/ ! Z=.4/ ! Z=.4/ !    . Show that C is exact, has all its terms projective and all its terms injective, but that C is neither projective nor injective 18. Let P 2 C.Z-Mod/ have all its terms ﬁnitely generated and projective (so free). Prove that P is the direct sum of complexes of some suspension of    ! 0 ! .n/ ,! Z ! 0 !    with n 2 Z and this Z in the 0th place. 19. Give an example of a homology isomorphism f W C ! D that is not an isomorphism in C.R-Mod/ (cf. Deﬁnition 1.1.6). For a ring R we will let C.R-Mod/ denote that category of complexes of left R-modules. So C 2 C.R-Mod/ will mean that C is such a complex. Given complexes C and D of left R-modules for some ring R, we introduce the groups Extn .C; D/ for n  0. We show that the elements of Ext1 .C; D/ can be put in a bijective correspondence with the equivalence classes of short exact sequences 0 ! D ! U ! C ! 0 of complexes. We introduce the short exact sequences of complexes associated with the mapping cones of morphisms f W C ! D in C.R-Mod/ and consider some of the properties of these sequences. We also consider the behavior of the homology groups associated with a short exact sequence of complexes. If C; D 2 C.R-Mod/, we know there are exact sequence P ! C ! 0 and 0 ! D ! E in C.R-Mod/ where P is a projective complex and E is an injective complex. So we have the beginning of a projective resolution of C and of an injective resolution of D. Since we use subscripts to denote terms of a complex, we will use superscripts to distinguish the terms of these resolutions. Deﬁnition 2.1.1. By a projective resolution of C 2 C.R-Mod/, we mean an exact sequence of complexes    ! P 2 ! P 1 ! P 0 ! C ! 0 in C.R-Mod/ where each P n ; n  0, is a projective complex. By an injective resolution of D 2 C.R-Mod/, we mean an exact sequence 0 ! D ! E0 ! E1 !    of complexes in C.R-Mod/ where each E n , n  0, is an injective complex. An exact sequence in C.R-Mod/ of the form 0 ! S ! P .n1/ !    ! P 0 ! C ! 0 with P 0 ; P 1 ; : : : ; P .n1/ projective complexes will be called a partial projective resolution of C of length n.
Proof. We have Extn .S k .MN /; C / Š Extn .MN ; S k .C // Š Extn .M; S k .C /1 / D Extn .M; CkC1 /. The second isomorphism is proved in a similar manner. It is more complicated to compute the groups Extn .M ; C / and Extn .C; N /. However, with M D R we get the next result. Proposition 2.1.5. For C 2 C.R-Mod/, we have Ext1 .R; C / Š H1 .C /: Proof. The complex RN is projective (in fact it is free, cf. Example 1.3.4). The N complex R is a subcomplex of RN and R=R Š S.R/. So we have the partial proN jective resolution 0 ! R ! R ! S.R/ ! 0. Applying S 1 we get the parN ! R ! 0 of R. By sectial projective resolution 0 ! S 1 .R/ ! S 1 .R/ 1 tion 1.2, we know that Hom.S .R/; C / Š Hom.R; S.C // Š Z1 .C /. And also N C / Š Hom.R; N S.C // Š C0 . Hom.S 1 .R/; With these isomorphisms, we have that N C / ! Hom.S 1 .R/; C / Hom.S 1 .R/; corresponds to a map C0 ! Z1 .C /. But from the deﬁnition of the isomorphisms we see that C0 ! Z1 .C / agrees with d0 and so its cokernel is H1 .C /. Using suspensions the next result is immediate. Proposition 2.1.6. For k 2 Z, and C 2 C.R-Mod/ Ext1 .S k .R/; C / Š Hk1 .C /: Then we also get: Corollary 2.1.7. If C 2 C.R-Mod/, then C is exact if and only if Ext1 .S k .R/; C / D 0 for all k 2 Z. We will later need the next result. Proposition 2.1.8. If C is a ﬁnitely presented complex in C.R-Mod/, then for any directed system .D i W .fj i // of complexes we have Extn .C; lim D i / Š lim Extn .C; D i / ! for all n  0. Proof. The proof is the same as that for modules. It is easy to check that Coker.f1 / ! Coker.g2 / is always an isomorphism and that if f1 is injective, so is g2 . is a pushout diagram. So now with a change in notation we see that we have proved the next result. S0 is a pushout diagram. We note that U ! U 0 is then an isomorphism (and so we have an equivalence relation). We should check that we do have a complex. Using the simpliﬁed notation d.y; x/ D .d.y/ C f .x/; d.x//; we see that d.d.y; x// D .d 2 .y/ C d.f .x//  f .d.x//; d 2 .x// D .0; 0/ since d ı f D f ı d . It is easy to check that we have morphisms Y ! C.f / deﬁned by y 7! .y; 0/ and C.f / ! S.C / deﬁned by .y; x/ 7! x. And then we see that we get a short exact sequence 0 ! Y ! C.f / ! S.C / ! 0 in C.R-Mod/. If we apply Proposition 2.3.1 to this short exact sequence, we get a morphism H.S.C // ! SH.Y / D H.S.Y //. Proposition 2.4.2. A morphism f W C ! D in C.R-Mod/ is a homology isomorphism (see Deﬁnition 1.1.6) if and only if C.f / is an exact complex. Proof. The short exact sequence 0 ! D ! C.f / ! S.C / ! 0 gives rise to the exact sequence of homology groups    ! H.D/ ! H.C.f // ! H.S.C // ! H.S.D// ! H.S.C.f /// ! H.S 2 .C // ! 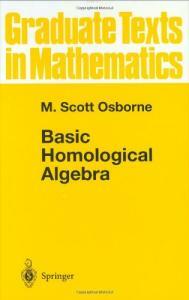    Noting that f is a homology isomorphism if and only if S.f / is a homology isomorphism the result follows. 1. a) Let 0 ! C 0 ! C ! C 00 ! 0 be a short exact sequence in C.R-Mod/. Prove that 0 ! Z.C 0 / ! Z.C / ! Z.C 00 / is also an exact sequence. b) Give an example where Z.C / ! Z.C 00 / ! 0 is not exact. c) Argue that if C 0 is exact, then Z.C / ! Z.C 00 / ! 0 is exact. 2. Again let 0 ! C 0 ! C ! C 00 ! 0 be an exact sequence in C.R-Mod/. Argue that 0 ! B.C 0 / ! B.C / and B.C / ! B.C 00 / ! 0 are exact, but in general B.C 0 / ! B.C / ! B.C 00 / is not exact. 3. Given M; N 2 R-Mod, compute Extn .MN ; NN / and Extn .M ; N /.    ! C3 ! C2 ! C1 ˚ R ! C0 ! C1 ! C2 !    where C2 ! C1 ˚ R is the map x 7! .d2 .x/; 0/ and where C1 ˚ R ! C0 is the map .y; r/ 7! d1 .y/ C rx. Then compute the homology modules of the pushout complex. 11. Let S  C be a subcomplex of C 2 C.R-Mod/. Show that the following are equivalent: 1) 0 ! H.S/ ! H.C / is exact 2) H.C / ! H.C =S/ ! 0 is exact 3) B.S/ D S \ B.C / 12. Let C 2 C.R-Mod/. Show that Z.C / D 0 if and only if C D 0.
i ; D/ for some D 2 C.R-Mod/, then f Š g where gi where L fii ; gi 2 Hom.C L f; g W C ! D and s W P C i ! D are deﬁned by theP formulas f ..xi /i2I / D P f .x /, g..x / / D g .x / and s..x / / D i i i i i i2I i2I i2I i2I i2I si .xi /. fj ; gj W C ! D j for each j 2 I and homotopies fj Š gj for each j 2 J , we Q s get morphisms f; g W C ! j 2I D j and a homotopy s with f Š g. These claims are easily veriﬁed. with E 2 C.R-Mod/, then f1 Š f2 and g1 Š g2 imply that g1 ı f1 Š g2 ı f2 . This means that for f W C ! D and g W D ! E, we can deﬁne Œg ı Œf  as Œg ı f . Similarly we can deﬁne Œf  C Œg to be Œf C g when f; g 2 Hom.C; D/. So we see that we get a category. Deﬁnition 3.2.1. For a ring R, we let K.R-Mod/ be the category whose objects are the C 2 C.R-Mod/ and whose morphisms C ! D are the equivalence classes Œf  for f 2 HomC.R-Mod/ .C; D/. To distinguish the sets HomC.R-Mod/ .C; D/ and the sets HomK.R-Mod/ .C; D/ we let Hom.C; D/ mean HomC.R-Mod/ .C; D/. Note that each HomK.R-Mod/ .C; D/ is an abelian group. In K.R-Mod/, we have an identity ŒidC  where idC is in C.R-Mod)). We will denote ŒidC  simply as idC . So if f W C ! D is an isomorphism in C.R-Mod/, then Œf  is an isomorphism in K.R-Mod/ with Œf 1 D Œf 1 . Many properties of C.R-Mod/ are lost when we consider K.R-Mod/. For example, there are no natural notions of Ker.Œf / or Coker.Œf / for Œf  2 HomK.R-Mod/ .C; D/. i is a family of complexes in C.R-Mod/, then we can form However, if L.C /i2I i . Then this complex with the canonical homomorphisms e W the complex C j i2I L C j ! i2I C i are an (external) direct sum in C.R-Mod/. This means that given morphisms fj W C j ! D for each j 2 I , there is a unique morphism f W L i i2I C ! D such that f ı ej D fj for each j 2 I . Using this notation we get the next result. Proposition 3.2.2. With the morphisms Œej  W C j ! sum in K.R-Mod/. Proof. Given D 2 K.R-Mod/ and Œfj  W C j ! D for each j 2 I , we have the morphisms fj W C j ! D in C.R-Mod/. L These give a morphism f W i2I C i ! D so that f ı ej D fj for each j 2 I . So Œf  ı Œej  D Œfj  for each j 2 I . To establish the uniqueness of f , suppose sj L g W i2I C i ! D is such that ŒgıŒej  D Œfj  for each j . This gives that gıej  fj for some homotopy sj . Then by Proposition 3.1.3 we see that this gives that g Š f , i.e. that Œg D Œf . In a similar manner, we get products in K.R-Mod/. We let pj W for j 2 I be the canonical projections. Proposition 3.2.3. With the morphisms Œpj  W in K.R-Mod/. is an isomorphism. So    ! 0 ! SnC1 ! Zn .C / ! 0 is a subcomplex of C . Since C is the direct sum of these subcomplexes, we have established our claim. Given a short exact sequence 0 ! C 0 ! C ! C 00 ! 0 in C.R-Mod/, we will be concerned with criteria that guarantee the sequence is split exact in C.R-Mod/. dn .fn .x 00 // C fn1 .dn .x 00 // D 0: This means that we can use the fn to create a morphism g W S 1 .C 00 / ! C 0 where gn D fnC1 . Then we check that C D C.g/. So, up to isomorphism, an exact sequence 0 ! C 0 ! C ! C 00 ! 0 that splits at the module level is the short exact sequence associated with a mapping cone. So then we ask what more is needed to give that the sequence is split exact. Proposition 3.3.2. If f W C ! D is a morphism in C.R-Mod/, then 0 ! D ! C.f / ! S.C / ! 0 is split exact if and only if f Š 0. C.f / ! S.C / ! 0 is split exact if and only if the morphism Œq in K.R-Mod/ admits a section in K.R-Mod/. Proof. 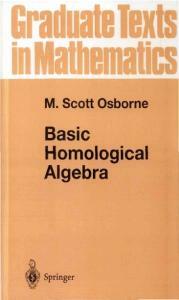 We argue that if we have a section up to homotopy then we have a section. Let s W S.C / ! C.f / be a section up to homotopy where s.x/ D .u.x/; v.x//. Let w be the associated homotopy. Then .dw C wd /.x/ D x  v.x/. We have ds.x/ D d.u.x/; v.x// D .du.x/ C f v.x/; dv.x// But s is a morphism and so ds.x/ D s.dx/ D .ud.x/; vd.x//. So we get .du C ud /.x/ D f v.x/ and dv.x/ D vd.x/. We now claim that x 7! .f w.x/ C u.x/; x/ is the desired section. To get that this function commutes with differentials we need that df w.x/ C du.x/ C f .x/ D f wd.x/  ud.x/ or that f ..dw C wd /.x// C .du C ud /.x/ D f .x/. Since .dw C wd /.x/ D v.x/  x and since .du C ud /.x/ D f v.x/, we see that the equality holds. Given C; D 2 C.R-Mod/ we can regard C and D as objects of Gr.R-Mod/. 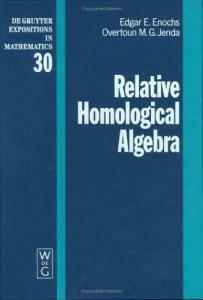 So we form the graded abelian group HomGr.R-Mod/ .C; D/. We will show that this graded abelian group can be made into a complex. To simplify notation we will write Hom.C; D/ in place of HomGr.R-Mod/ .C; D/. Then instead of d Hom.C;D/ for the differential, we will write d 0 . Deﬁnition 3.4.1. For C; D 2 C.R-Mod/, we let Hom.C; D/ be the complex with differential d 0 where d 0 .f / D f ı d C  .1/p d D ı f when f 2 Hom.C; D/p . We need to check that d 0 is indeed a differentiation. We ﬁrst note that d 0 .f / is deﬁned since f ı d C and d D ı f both have degrees p  1. We have d 02 .f / D d 0 .d 0 .f // D d 0 .f ı d C  .1/p d D ı f / D .f ı d C  .1/p d D ı f / ı d C  .1/p1 d D ı .f ı d C  .1/P d D ı f / Since d C ıd C D 0 and d D ıd D D 0 and since .1/p d D ıf ıd C .1/p1 d D ı f ı d C D 0, we see that d 02 .f / D 0. Proposition 3.4.2. If C; D 2 C.R-Mod/, then f 2 Hom.C; D/p will be a cycle (i.e. f 2 Zp .Hom.C; D// if and only if f 2 HomC.R-Mod/ .C; S p .D//. Proof. Suppose f 2 Zp .Hom.C; D//. Since deg.f / D p, we can regard f as a morphism C ! S p .D/ of graded modules of degree 0. The equation d 0 .f / D 0 says f ı d C  .1/p d D ı f D 0 i.e. that f ı d C D .1/p d D ı f . Since .1/p d D is the differentiation of S p .D/ we see that f W C ! S p .D/ is a morphism in C.R-Mod/. Reversing the steps we get the converse. We now characterize the boundaries in Hom.C; D/. Proposition 3.4.3. For C; D 2 C.R-Mod/ and f 2 Hom.C; D/p we have f is a boundary of Hom.C; D/ (i.e. f 2 Bp .Hom.C; D// if and only if f as a morphism C ! S p .D/ in C.R-Mod/ is homotopic to 0. Proof. Assume f is a boundary. Then f is a cycle, so by the preceding result f W C ! S p .D/ is a morphism. If f is a boundary, then d 0 .s/ D f with s 2 Hom.C; D/pC1 . But this means f D s ı d C  .1/pC1 d D ı s D s ı d C C .1/p d D ı s Noting that s can be regarded as a map of graded modules C ! S P .D/ of degree C1 we see that f Š 0. We get the converse by reversing the steps. Given complexes C and D of left R-modules, we form the complex Hom.C; D/. It is then natural to ask about the properties of this complex. We can now see when Hom.C; D/ is exact. Corollary 3.4.4. For C; D 2 C.R-Mod/, Hom.C; D/ is an exact complex if and only if for every p 2 Z every morphism f W C ! S p .D/ in C.R-Mod/ is homotopic to 0. Proof. This result follows immediately from Propositions 3.4.2 and 3.4.3 above. Given C; D 2 C.R-Mod/ and f 2 Hom.C; D/, we can construct the mapping cone C.f / and the associated exact sequence 0 ! D ! C.f / ! S.C / ! 0. By Theorem 2.2.7, this exact sequence can be regarded as an element of Ext1 .S.C /; D/. If we know that Ext1 .S.C /; D/ D 0, then the sequence 0 ! D ! C.f / ! S.C / ! 0 is split exact. By Proposition 3.3.2 this sequence is split exact if and only if f is homotopic to 0. So we get that if Ext1 .S.C /; D// D 0 then every morphism f W C ! D is homotopic to 0. We would have the converse of this statement if we knew that every element of Ext1 .S.C /; D// thought of as a short exact sequence. 0 ! D ! U ! S.C / ! 0 were equivalent to a sequence 0 ! D ! C.f / ! S.C / ! 0 associated with a morphism f W C ! D. In Section 3.3 it was noted that if 0 ! D ! U ! S.C / ! 0 splits at the module level then the sequence is equivalent to a mapping cone short exact sequence. Finally we remark that for C; D 2 C.R-Mod/, the condition that every morphism f W C ! D in C.R-Mod/ is homotopic to 0 is equivalent to the condition that HomK.R-Mod/ .C; D/ D 0. Then since H1 .D/ ! H1 .D/ ! 0 is exact, there is a z C B1 .D/ 2 H1 .D/ with rz C B1 .D/ D y  rv 0 C B1 .D/. This means y  rv 0 D rz C du for some u 2 D2 and so that y D r.v 0 C z/ C du. If v D v 0 C z, then dv D dv 0 C dz D x C 0 and y D rv C du. So this gives that f Š 0. 1. Let D 2 C.R-Mod/. Prove that Hom.MN ; D/ is exact for all M 2 R-Mod. 2. Find a necessary and sufﬁcient condition on C 2 C.R-Mod/ such that 0 ! Hom.C; D 0 / ! Hom.C; D/ ! Hom.C; D 00 / ! 0 is exact for all exact 0 ! D 0 ! D ! D 00 ! 0 in C.R-Mod/. 3. For M; N 2 R-Mod, explain why Hom.M ; N / Š Hom.M; N /. 4. Let r 2 R where R is a commutative ring and let K 2 C.R-Mod/ be as in Section 3.5. If r is nilpotent (i.e. r n D 0 for some n  1) and if D 2 C.R-Mod/, show that Hom.K; D/ is exact if and only if D is exact. 5. Let f W C ! D, g W D ! E be morphisms in C.R-Mod/. Deﬁne natural morphisms C.f / ! C.g ı f / and C.g ı f / ! C.g/. In this chapter we give the basic results concerning cotorsion pairs of classes of complexes of left R-modules. Deﬁnition 4.1.1. If A is a class of complexes of left R-modules we let A? consist of all C 2 C.R-Mod/ such that Ext1 .A; C / D 0 for all A 2 A. We let ? A consist of all B 2 C.R-Mod/ such that Ext1 .B; A/ D 0 for all A 2 A. Deﬁnition 4.1.2. A pair .A; B/ of classes of objects of C.R-Mod/ is said to be a cotorsion pair (or a cotorsion theory) for C.R-Mod/ if B ? D B and ? B D A. These notions in C.R-Mod/ are basically the same as those for R-Mod (see Chapter 7 of the Volume I). Some arguments and ideas there carry over to the category C.R-Mod/ with little modiﬁcation. Deﬁnition 4.1.3. A cotorsion pair .A; B/ in C.R-Mod/ is said to be complete (or to have enough injectives and projectives) if for every C 2 C.R-Mod/ there are exact sequences 0 ! B ! A ! C ! 0 and 0 ! C ! B 0 ! A0 ! 0 in C.R-Mod/ with A; A0 2 A and B; B 0 2 B. If we only assume the existence of the sequences 0 ! B ! A ! C ! 0 (or the sequences 0 ! C ! B 0 ! A0 ! 0) for every C , then the argument in Volume I (see Proposition 7.1.7) shows we also get the sequences 0 ! C ! B 0 ! A0 ! 0 (the sequences 0 ! B ! A ! C ! 0). The best result guaranteeing that a cotorsion pair .A; B/ in C.R-Mod/ was provided by Eklof–Trlifaj. We recall that result below. We note that if S is any class of objects of C.R-Mod/ and if S ? D B and A D ? B, then .A; B/ is a cotorsion pair. We say it is the cotorsion pair cogenerated by S. If there is a set S that cogenerates .A; B/, then we say that .A; B/ is cogenerated by a set. The next result was originally proved for modules. A proof for modules is given in Volume I (see Theorem 7.4.1). The proof carries over directly to complexes. Theorem 4.1.4 (Eklof, Trlifaj). If a cotorsion pair .A; B/ in C.R-Mod/ is cogenerated by a set, then it is complete. Z.E 0 / D B.E 0 / and E 0 will be exact. So we have x 2 C 0  E 0 and jE 0 j  . 0 Letting x 2 Ek and C 0 be such that Ck0 D R and Ck1 D dk .Rx/. Then set Cn0 D 0 0 if n ¤ k; k  1. So C  E is a subcomplex, x 2 C 0 and jC 0 j  . Having constructed C n with jC n j   we want to construct C nC1 with C n  C nC1 but such that Z.C n /  B.C nC1 / and with jC nC1 j  . For each ` 2 Z we have Z` .C n /  Z` .E/ D B` .E/: So since we assumed jRj  , we can ﬁnd a submodule S`C1  E`C1 such that Z` .C n /  d`C1 .S`C1 /. We now deﬁne C`nC1 so that for ` 2 Z, C`nC1 D C`n C S` C d`C1 .S`C1 /. Then C nC1 is a subcomplex of E, C n  C nC1 and by construction Z.C n /  B.C nC1 /. So ﬁnally we have the desired subcomplex E 0  E. Remark 4.1.10. We will have other occasions when we need to use the technique we used in this proof. When we do so we will call it the zig-zag technique. So we will allow ourselves to appeal to the technique without giving details. With the notation of the lemma we have E 0  E with both E 0 and exact. Hence E=E 0 is exact. Deﬁnition 4.1.11. Let A be a class of objects of C.R-Mod/. Then A is said to be a Kaplansky class if there is a cardinal number  such that when we have x 2 A for A 2 A, there is a subcomplex A0  A with x 2 A0 and with A0 and A=A0 2 A where jA0 j  . We also say A is Kaplansky relative to . So Lemma 4.1.9 could be rephrased. It says that the class E of exact complexes in C.R-Mod/ is Kaplansky relative to any inﬁnite cardinal  such that jRj  . We can use the class E to illustrate another important notion. Again with jRj  K, K an inﬁnite cardinal, let E 2 E. Let E 0 D 0  E. For any x 2 E, let E 1  E be exact with x 2 E 1 and jE 1 j   (by Lemma 4.1.9). Then considering E=E 1 2 E and some y 2 E=E 1 , we can ﬁnd E 2 =E 1  E=E 1 with y 2 E 2 =E 1 , E 2 =E 1 2 E and jE 2 =E 1 j  . But then is clear E 2 is exact and we can repeat the procedure with E=E 2 . Then noting that the union of any chain of exact subcomplexes of E is exact, we see that for some ordinal number  we can construct a ﬁltration .E ˛ j ˛  / of E such that when ˛ C 1   we have E ˛C1 =E ˛ exact (i.e. E ˛C1 =E ˛ 2 E and jE ˛C1 =E ˛ j  . Deﬁnition 4.1.12. If A is a class of objects of C.R-Mod/, we say that A is deconstructible if there is a cardinal number  such that every A 2 A has a ﬁltration .A˛ j ˛  / for some ordinal  such that when ˛ C 1   we have A˛C1 =A˛ 2 A and jA˛C1 =A˛ j  . In this case we also say that A is deconstructible relative to . So with the same E we have that E is deconstructible relative to any inﬁnite  with   jRj. Let A be a class which is deconstructible relative to the cardinal number . Then there is a subset S  A of representatives of A 2 A with jAj  . Then by the deﬁnition of deconstructibility, we have A  Filt.S/. Theorem 4.1.13. Suppose A is a class of objects of C.R-Mod/ such that a) A D Filt.A/ b) A is closed under taking direct summands c) A is deconstructible N 2 A for every k 2 Z. d) S k .R/ Then with B D A? , .A; B/ is a cotorsion pair which is cogenerated by a set. Proof. This follows from Theorem 4.1.7. We choose S  A as a set including representatives of A 2 A with jAj   where A is deconstructible relative to K, but N 2 A for each k 2 Z. Then A  Filt.S/. But since also requiring that S k .R/ S  A; Filt.S/  Filt.A/ D A. So A D Filt.S/. Since A is closed under direct summands we get that A consists of all direct summands of objects of Filt.S/. So now Theorem 4.1.7 gives us the result. There is a module theoretic version Theorem 4.1.13. We will state it here. Theorem 4.1.14. Suppose A is a class of objects of R-Mod such that a) A D Filt.A/ b) A is closed under direct summand c) A is deconstructible d) R 2 A. Then with B D A? , the pair .A; B/ is a cotorsion pair which is cogenerated by a set. Corollary 4.1.15. With E the class of exact complexes in C.R-Mod/, .E; E ? / is a cotorsion pair in C.R-Mod/ which is cogenerated by a set. Proof. We have already noted that E satisﬁes a), b), and c) of the theorem above. We N 2 E since S k .R/ N is exact. So E satisﬁes a)–d) and we have established the get S k .R/ claim. is exact. This is a partial project resolution of P . So applying S 1 to this sequence we get the exact sequence 0 ! S 2 P ! S 2 C.f / ! S ! P ! 0: So we see that for any n  1 we get a partial projective resolution 0 ! S n P ! S n C.f / ! S nC1 C.f / !    ! S 1 C.f / ! P ! 0 of P . Hence we get that for k  1 and n  1, Extk .S n P; D/ D ExtkCn .P; D/ for any complex D. So we get the next result. Lemma 4.2.3. If P 2 C.R-Mod/ is a perfect complex, then for any complex D and k  1 and n  1 we get that Extk .S n P; D/ D ExtkCn .P; D/: Lemma 4.2.4. If P 2 C.R-Mod/ is a perfect complex, then Ext1 .P; Q/ D 0 for any projective complex Q. N Š Ext1.Pk1 ; R/ for any k 2Z. Proof. By Proposition 2.1.4, we have Ext1.P; S k .R// N D 0. Since Pk1 is projective, we get Ext1 .Pk1 ; R/ D 0 and so Ext1 .P; S k .R// So now using the fact that P is a ﬁnitely generated complex, we get that Ext1 .P; / commutes with direct sums. Hence Ext1 .P; F / D 0 for any free complex F (see Section 1.3) and so since any projective complex Q is a direct summand of a free complex F we also get Ext1 .P; Q/ D 0. Proposition 4.2.5. Let S be a set of perfect complexes in C.R-Mod/. Let B consist of all complexes B such that Extn .P; B/ D 0 for all P 2 G for all n  1. Then there is a complete cotorsion triplet .A; B; C /. In fact .A; B/ and .B; C / are cogenerated by sets and .P ; C / is perfect. Proof. If we let T consist of all S n P for P 2 S and n  0, then T is a set and by the observation above we have T ? D B. Note that by the deﬁnition of T , we have that for Q 2 T , B 2 B, Extn .Q; B/ D 0 for all n  1. Now if we let A D ? B, then .A; B/ is a cotorsion pair which is cogenerated by a set. We now prove that B satisﬁes a), b) c) and d) of Theorem 4.1.13. Since B D T ? we get b). To get d), we will appeal to Proposition 2.1.4. By that result N Š Ext1 .Qk1 ; R/, for any Q 2 T . By the deﬁnition of T , we get Ext1 .Q; S k .R// N D 0. So for any Qk1 is projective. So Ext1 .Qk1 ; R/ D 0 and so Ext1 .Q; S k .R// N 2 Q1 D B. To get a), i.e. B D Filt.B/, let .B ˛ j ˛  / be a k 2 Z, S k .R/ ﬁltration of B where B ˛C1 =B ˛ 2 B whenever ˛ C 1  . We want to argue that B 2 B. We argue by transﬁnite induction that B ˛ 2 B. If ˛ D 0, B 0 D 0 and so trivially B 0 2 B. If B ˛ 2 B with ˛ <  then B ˛C1 =B ˛ 2 B. But we have the exact 0 ! B ˛ ! B ˛C1 ! B ˛C1 =B ˛ ! 0. So if P 2 S we have the exact 0 D Ext1 .P; B ˛ / ! Ext1 .P; B ˛C1 / ! Ext1 .P; B ˛C1 =B ˛ / D 0 and so Ext1 .P; B ˛C1 / D 0. Hence B ˛C1 2 B. Now if ˇ   is a limit ordinal and if B ˛ 2 B for all ˛ < ˇ we want to argue that B ˇ 2 B, that is Ext1 .P; B ˇ / D 0 for all P 2 S. Since we have the partial projective resolution 0 ! S 1 P ! S 1 C.f / ! P ! 0; we can complete Ext1 .P; B ˇ / using this resolution. S 1 P is ﬁnitely generated and so any morphism S 1 P ! B ˇ D S The complex ˛ ˛ ˛ ˛< ˇ. Since we assumed B 2 B, 1 ˛ 1 ˛ that is Ext .P; ˇ / D 0 when P 2 S, we get that S P ! B has an extension S 1 C.f / ! B ˛ . So the original S 1 P ! B ˇ has an extension S 1 C.f / ! B ˇ . So we get Ext1 .P; B ˇ / D 0. This completes the proof. N for all k 2 Z. These In Example 4.1.8, we let S consist of all the complexes S k .R/ complexes are all perfect. So we can apply Proposition 4.2.5 and get a cotorsion triplet. By Corollary 2.1.7 we have that S ? D E where E is the class of exact complexes. So our triplet in this case is .? E; E; E ? /. We will call the P 2 ? E the Dold projective complexes and the I 2 E ? the Dold injective complex. Proposition 4.3.1. The complex P 2 C.R-Mod/ is a Dold projective complex if and only if Pn is a projective module for every n 2 Z and if every morphism f W P ! E where E is an exact complex is homotopic to 0. Proof. For every N 2 R-Mod, S k .NN / is an exact complex. By Proposition 2.1.4, Ext1 .P; S k .NN // D Ext1 .Pk1 ; N /. So if P 2 ? E, we get that Ext1 .Pk1 ; N / D 0. So for every k 2 Z, Pk1 is projective. Now given f W P ! E we have the exact sequence 0 ! E ! C.f / ! S.P / ! 0 and so the exact 0 ! S 1 E ! S 1 C.f / ! P ! 0. But S 1 E is also exact. Since we assume P 2 ? E, this sequence is split exact. So 0 ! E ! C.f / ! S.P / ! 0 is split exact. By Proposition 3.3.2 this means f W P ! E is homotopic to 0. Conversely assume P is such that each Pn is projective and that each f W P ! E with E exact is homotopic to 0. We want to argue that for all exact E, Ext1 .P; E/ D 0. So this means that every short exact sequence 0 ! E ! U ! P ! 0 splits. Since each Pn is projective we get that 0 ! E ! U ! P ! 0 splits at the module level. That is, for each n 2 Z, 0 ! En ! Un ! Pn ! 0 is split exact. But as observed in Section 3.3, this means that the sequence is isomorphic to a sequence of the form 0 ! E ! C.g/ ! P ! 0 where g W S 1 P ! E is a morphism of complexes. By hypothesis S.g/ W P ! S.E/ is homotopic to 0. Hence g W S 1 P ! E is homotopic to 0 and 0 ! E ! C.g/ ! P ! 0 is split exact by Proposition 3.3.2. So 0 ! E ! U ! P ! 0 is split exact. Since we now have Ext1 .P; E/ D 0 for all exact E, we have P 2 ? E. That is, P is Dold projective. Dual arguments give us the next result. Proposition 4.3.2. The complex I 2 C.R-Mod/ is Dold injective if and only if In is a injective module for every n 2 Z and if every morphism g W E ! I where E is an exact complex is homotopic to 0.
is unique up to a homotopy isomorphism. In fact the complex    ! A2 ! A1 ! A0 ! C ! 0 is also unique up to a homotopy isomorphism. We will freely use other terminology of Volume I but adapted to the categories C.R-Mod/. Theorem 4.4.4. Let .A; B; C / be a cotorsion triplet in C.R-Mod/. If .A; B; C / is hereditary, then A \ B is the class of projective complexes and B \ C is the class of injective complexes. If .A; B; C / is hereditary and complete, then Hom.; / is right balanced by A  C (see Deﬁnition 8.2.13 of Volume I). Proof. We assume .A; B; C / is hereditary and let D 2 A \ B. We want to prove that D is projective. Let 0 ! K ! P ! D ! 0 be exact with P projective. Since D 2 B and since .B; C / is hereditary, K 2 B. But then since D 2 A and since .A; B/ is a cotorsion pair, Ext1 .D; K/ D O. So the sequence 0 ! K ! P ! D ! 0 is split exact. Hence D is projective. Conversely, if P 2 C.R-Mod/ is projective then since .A; B/ is a cotorsion pair then A 2 A. But .B; C / is also a cotorsion pair and so P 2 B. Hence P 2 A \ B. Thus A \ B is the class of projective complexes. A dual argument gives that B\C is the class of injective complexes when .A; B; C / is a hereditary triplet. Now we assume that .A; B; C / is complete and hereditary. Given D 2 C.R-Mod/, we use the fact that .A; B/ is complete to construct a complex    ! A1 ! A0 ! D ! 0 so that if B 1 D Ker.AnC1 ! AnC2 / where n  2, then B n 2 B for n  1 and 0 ! B 1 ! A0 ! D ! 0 and 0 ! B n ! AnC1 ! B nC1 ! 0 for n  2 are exact. Let 0 ! B 1 ! E ! B 0 ! 0 be exact with E injective. Since .A; B/ is hereditary, B 0 2 B and so Ext1 .B 0 ; C / D 0 since .B; C / is a cotorsion pair. This gives that Hom.E; C / ! Hom.B 1 ; C / ! 0 exact, and so that the map B 1 ! C has an extension E ! C . Now since E is injective and 0 ! B 1 ! A0 is exact we get that the B 1 ! E can be extended to A0 ! E. We want to prove that if B 2 B, then Hom.; B/ leaves the sequence exact. We argue that it leaves the sequence 0 ! B 1 ! A0 ! D ! 0 exact. Then same argument will give that it leaves each 0 ! B n ! B nC1 ! B nC2 ! 0 exact and so that it leaves    ! A2 ! A1 ! A0 ! D ! 0 exact. Let B 1 ! C be given. We want to argue it has an extension A0 ! C .
with exact rows. Since P 2 U, we have S.P / 2 U and so Ext1 .S.P /; B/ D 0. So this gives an extension C.idP / ! B of P ! B. But C.idP / is a projective complex and so C.idP / ! B has a lifting C.idP / ! Q. Restricting to P , we get a lifting P ! Q of the original P ! B. Remark 4.4.6. We have a plentiful supply of hereditary triplets in C.R-Mod/. So it is natural to ask if we have examples of hereditary quadruplets .A; B; C ; D/ in C.R-Mod/. But then since .A; B; C / and .B; C ; D/ are hereditary triplets, we get that B \ C is both the class of projective complexes and the class of injective complexes. This means that a complex is projective if and only if it is an injective complex. In this case a module is injective if and only if it projective. Recall that in R-Mod we have the cotorsion pairs .Proj; R-Mod/ .R-Mod; Inj/ where Proj and Inj are the classes of projective and injective classes. So if Proj D Inj we have the quadruplet .Proj; R-Mod; Proj; R-Mod/ and we likewise get a quintuplet, sextuplet etc. 1. Consider the perfect complex K.r/ D K of Section 3.5 (so r 2 R and R is commutative.) Let S D ¹Kº in Proposition 4.4.5. Then identify the triplet .A; B; C / that we get both when r D 0 and when r D 1. 2. Let P 2 C.R-Mod/ be such that Pn is a projective module for every n and such that for some n0 , Pn D 0 for all n > n0 . Prove that P is Dold projective. Hint: Use Proposition 4.3.1. 3. State and prove a dual result for I 2 C.R-Mod/. 4. Argue that with R D Z there are an inﬁnite number of distinct complete and hereditary cotorsion triplets in C.Z-Mod/. In this chapter we will give a brief introduction to adjoint functors. We will give the version that suits the applications we have in mind. CC CC CC CC C! are commutative we see that .A ! C / ı .idA  h/ D 0. So this means that Im.idA  h/  Ker.A ! C / D B. So we can think of idA  h as a morphism k W A ! B. Since S.A/ 2 A we have Ext1 .S.A/; B/ D 0. So 0 ! B ! C.k/ ! S.A/ ! 0 is split exact and K D idA  h (as a morphism into B) is homotopic to 0. So then easily it is homotopic to 0 as a morphism into C . This completes our proof. The morphism B ! S 1 .C.g// then gives a morphism S.B/ ! S.S 1 .C.g// D C.g/. To complete the proof, we need to show that S.B/ ! C.g/ gives a section for C.g/ ! S.B/ in K.R-Mod/. An argument dual to the argument in the proof of Theorem 5.1.7 will give this fact and will complete the proof. To apply the results of this chapter we need a supply of complete cotorsion pairs .A; B/ in C.R-Mod/ with A closed under suspensions. The results of Chapter 4 provide some examples. In Chapter 7 we will see other ways of getting examples. Consider the functor S W C ! R-Mod where S.M ! N / D M . Find a left adjoint and a right adjoint of S . 4. Consider the forgetful functor T :Groups ! Sets. Argue that T has a left adjoint (Hint: Recall the notion of a free group on a set. ), but that G has no right adjoint. Suggestions: Consider the set X D ¹a; bº with a ¤ b. Argue that there is no group G and function  W G ! X that has the desired universal property. Quillen, in his Homotopical Algebra, deﬁned a model structure on a category. Hovey showed that there is a close connection between certain model structures on an abelian category and cotorsion pairs in that category. We will exhibit this close connection in the category C.R-Mod/. Then we will use this connection to give examples of model structures on C.R-Mod/. is also commutative. So the claims easily follow from these observations. Lemma 6.1.5. If a morphism p W X ! Y has the right lifting property with respect to a morphism i W A ! B, then Ker.X ! Y / ! 0 has the right lifting property with respect to i . Proof. The proof is dual to that of Lemma 6.1.4. Deﬁnition 6.1.6. If .CN ; FN / is a model structure on C.R-Mod/, then an object C 2 C.R-Mod/ is said to be (trivially) coﬁbrant if 0 ! C is a (trivial) coﬁbration. An object F 2 C.R-Mod/ is said to be a (trivially) ﬁbrant if F ! 0 is a (trivial) ﬁbration. Note that 0 ! C being a trivial coﬁbration just means that 0 ! C is a coﬁbration and that C is exact. Similary F ! 0 is a trivial ﬁbration if it is a ﬁbration and F is exact. So if we let C denote the class of coﬁbrant objects and if E is the class of exact complexes then C \ E is the class of trivially coﬁbrant ojects. Similarly F \ E will be the class of trivially ﬁbrant objects if F is the class of ﬁbrant objects. N FN / be a model structure on C.R-Mod/ and let C and F Deﬁnition 6.1.7. Let .C; be the coﬁbrant and ﬁbrant objects respectively. Then .CN ; FN / is said to be a special model structure on C.R-Mod/ if a morphism i W A ! B is a (trivial) coﬁbration if and only if i is a monomorphism with (trivially) coﬁbrant cokernel, and if p W X ! Y is a (trivial) ﬁbration if and only if P is an epimorphism with (trivially) ﬁbrant kernel. We now exhibit the connection between model structures on C.R-Mod/ and cotorsion pairs in C.R-Mod/. Theorem 6.1.8. Let .CN ; FN / be a special model structure on C.R-Mod/ and let C and F be the coﬁbrant and ﬁbrant objects for this model structure. Then .C \ E; F / and .C ; F \ E/ are complete cotorsion pairs in C.R-Mod/. Proof. We will prove that .C \ E; F / is a complete cotorsion pair in C.R-Mod/. The proof that .C ; F \ E/ is such a pair is similar. can be completed to a commutative diagram. So this gives that C 2 C and so that C D ? .F \ E/. can be completed to a commutative diagram. But then i W A ! B must be a monomorphism. So now we want to show that if 0 ! A ! B ! C ! 0 is exact, then C 2 C . So if F 2 F \ C , we must show that Ext1 .C; F / D 0. So let 0 ! F ! I ! Y ! 0 be exact with injective. Then I ! Y 2 FN . So i W A ! B has the left lifting property with respect to I ! Y . Hence by Lemma 6.1.4, 0 ! C has the left lifting property with respect to I ! Y . But this means Hom.C; I / ! Hom.C; Y / ! 0 is exact. But this gives that Ext1 .C; F / D 0. So now we have that if i W A ! B has the left lifting property with respect to every trivial p 2 FN , then i 2 CN . So since we have already shown that every i 2 CN has the left lifting property with respect to every trivial p 2 FN . The other claims about lifting properties can be proved in a similar or in a dual manner. Then it now remains to prove that every morphism f has the factorizations f D p ı i D p 0 ı i 0 as in the deﬁnition of a model structure. We argue that f has a factorization f D p ı i with i a trivial coﬁbration and p a ﬁbration. We will use the fact that .C \ E; F / is a complete cotorsion pair. is a bijective correspondence between the collection of special model structures on C.R-Mod/ and the collection of Hovey pairs in C.R-Mod/. Example 6.1.13. In section 4.3 we considered the Dold triplet .? E; E; E ? /. This triplet is hereditary (see Deﬁnition 4.4.3). By Theorem 4.4.4 ? E \ E consists of all the projective complexes. By then .? E \ E; R-Mod/ is trivially a complete cotorsion pair. But so is .? E; .R-Mod/ \ E/ D .? E; E/. Hence we have a Hovey pair .? E \ E; R-Mod/, .? E; E/. Similarly we have a Hovey pair .E; E ? /, .R-Mod; E ? \ E/. So this give us two special model structures on C.R-Mod/. a) Show that if f D p ı i and f D p 0 ı i 0 are both minimal factorizations of f then any h W U ! U 0 that makes the diagram of Exercise 2 above commutative is an isomorphism. b) If C ! U ! D and CN ! UN ! DN are minimal factorizations of f W C ! D N argue that C ˚ CN ! U ˚ UN ! D ˚ DN is a minimal and fN W CN ! D, N factorization of f ˚ fN W C ˚ CN ! D ˚ D. c) Argue the converse of b) d) If C 2 C and F 2 F describe minimal factorizations of C ! 0 and 0 ! F .
In this chapter we will be concerned with ways of getting complete cotorsion pairs in C.R-Mod/. One method for creating such pairs is by starting with a complete cotorsion pair in R-Mod and then using this pair to ﬁnd related pairs in C.R-Mod/. Let A be a class of objects of R-Mod. We will often regard A as a full subcategory of R-Mod. Then C.A/ will denote the class of objects A 2 C.R-Mod/ such that An 2 A for each n 2 Z. We will also think of C.A/ as the corresponding full subcategory of C.R-Mod/. Now let .A; B/ be a complete cotorsion pair in R-Mod. The question we will ask is whether C.A/ and C.B/ are components of complete cotorsion pairs in C.R-Mod/. We ﬁrst note that it is certainly not true in general that .C.A/; C.B// is even a cotorsion pair in C.R-Mod/. For example, let .A; B/ be the pair .R-Mod; Inj/ with Inj  R-Mod the class of injective modules. Then C.R-Mod/? is the class of injective complexes say I . We know that I 2 C.Inj/. But in Chapter 1 we saw that every injective complex is exact. But not every element of C.Inj/ is exact (unless R D 0). So our question will be whether .C.A/; C.A/? / and .C.B/? ; C.B// form complete cotorsion pairs in C.R-Mod/. Recall that a pair .A; B/ in R-Mod is complete if it is cogenerated by a set (Volume I, Theorem 7.4.1). We now use this result to get the following. Theorem 7.1.1. If .A; B/ is a cotorsion pair in R-Mod which is cogenerated by a set, then .C.B/? ; C.B// is a cotorsion pair in C.R-Mod/ which is cogenerated by a set. Proof. We only need to ﬁnd a set T of objects of C.R-Mod/ such that T ? D C.B/. Let S be a set of objects of R-Mod such that S ? D B. Now let T D ¹S k .MN / 2 M 2 S; k 2 Zº. Then by Proposition 2.1.3, we get that T ? D C.B/. This gives the result. An example of interest is when B D Inj. It would be nice to have a description of C.Inj/? . With the object of creating Hovey pairs (see Chapter 6), we prove the next result. Corollary 7.1.2. ..C.B/ \ E/? ; C.B/ \ E/ is a cotorsion pair which is cogenerated by a set where E is the class of exact complexes. Proof. We let U be the set of objects of C.R-Mod/ with U D T [ T 0 where T 0 D ¹S k .R/ W k 2 Zº. Then U? D T ? \ .T 0 /? . So by the above and by Corollary 2.1.7, we get that U? D C.B/ \ E. The proof of the analogous result for .C.A/; C.A/? / and .C.A/ \ E, .C.A/ \ E/? / is not as direct. The tools we need will be provided by the so-called Hill lemma. We note that this lemma has proved to be of great use in the work of Trlifaj et al. for all ˇ  . Eventually our Hill class of submodules will be the M.S / where S is closed. But ﬁrst we want to get other ways to guarantee that S is closed. P Noting that ˛2S;˛< º, we have M.S / \ Mˇ  ˇ   if and only if the containment holds for all ˇ 2 S.
Proof. The condition is obviously P necessary. Now suppose it holds for all ˇ. We then want to argue that M.S/ \ Mˇ  ˛2S;˛< ˛2 <    < ˛k and where ˛1 ; : : : ; ˛k 2 S. Now we also suppose that ˛k is the least element of S we can get by this procedure. P Then xk D x  .x1 C  P  C xk1 / 2 M˛k \ A˛k  ˛2S;˛<˛k AP ˛ . So then x D .x1 C    C x˛k1 / C xk 2 ˛2S;˛<˛k A˛ . So writing x as a sum in ˛2S;˛<˛k A˛ , we contradict the choice of ˛k . Lemma S 7.2.4. Let .Si /i2I be any family of closed subsets of ¹˛ j ˛  º. Then S D i2I Si is also closed. Proof. This follows easily from the previous lemma. So this gives that the ﬁltration on M.T / induced from that on M is a C -ﬁltration. So M.T / 2 Filt.C /. The argument that M.T /=M.S/ 2 Filt.C / is similar. Deﬁnition 7.2.9. With all our hypotheses in place, we call the Hill class of submodules of M the submodules M.S/ for S  ¹˛ j ˛ < º closed. This class will be denoted H .M /. We note that it depends on the ﬁltration of M , on the choice of  and on the choice of the A˛ . We will call H .M / a Hill class of submodules relative to . We now record all that we have proved about H .M /. Note that 0 2 H .M / since S D  is closed. Similarly M 2 H .M /. Theorem 7.2.10. a) If N  P with N; P 2 H .M / then P =N 2 Filt.C / (and so N 2 Filt.C / and M=N 2 Filt.C /). b) H .M / is closed under sums. c) If N 2 H .M / and X  M with jX j < , then there is a P 2 H .M / with N  P , X  P and jP =N j < . Proof. The proofs of these claims areSin the above.PThe claim for c) is just Corollary 7.2.7. For b) we recall S that M. i2I Si / D i2I M.Si / when .Si /i2I is a family of closed sets and that i2I Si is closed (Lemma 7.2.4). We now begin with M 2 Filt.C /. Suppose we have a direct sum decomposition M D M1 ˚ M2 . It is not necessarily true that M1 ; M2 2 Filt.C /. But using Hill classes we can prove a related result. We ﬁrst give some terminology. For a submodule N  M we say N is homogeneous with respect to the direct sum decomposition M D M1 ˚ M2 if N D .M1 \ N / ˚ .M2 ˚ N /. Note that sum of and intersection of homogeneous submodules is homogeneous. Proposition 7.2.11. If X  M is a subset with jX j < , then there is a homogeneous Q with Q 2 H .M /, X  Q and with jQj < . Proof. By c) of Theorem 7.2.10 above there is a P 2 H .M / with X  P and jP j < . Of course, P may not be homogeneous. But P  P1 ˚P2 where P1 and P2 are the projections of P onto M1 and M2 (using the decomposition M D M1 ˚ M2 ). Also jP1 j < , jP2 j <  and jP1 ˚ P2 j < . So we can ﬁnd P 0 2 H .M / with P1 ˚ P2  P 0 and with jP 0 j < K. Continuing in this manner, we ﬁnd P  P 0  P 00 S   with P .k/  H .M /, P .k/ j < ; .P .k/ /1 ˚ .P .k/ /2  P .kC1/ . Then if .k/ , we quickly check that Q satisﬁes the desired properties. QD 1 kD0 P Corollary 7.2.12. If M D M1 ˚ M2 , then M has a ﬁltration .M˛ j ˛   / with  each M˛ 2 H .M / where each M˛ is homogeneous and jM˛C1 =M˛ j <  whenever ˛ C 1  . Proof. This follows from the previous result. ˛C1 ˛C1 D A˛ if n < n , we have the and construct A˛C1 0 n n0 C2 ; An0 C3 ; : : : . Then letting An desired complex A˛C1  A. So now it easy to see that A has the desired ﬁltration. Using the analogous method along with the zig-zag procedure of Remark 4.1.10, we get the proof of the next result. Theorem 7.2.15. If .A; B/ is a cotorsion pair in R-Mod which is cogenerated by a set, then .C.A/ \ E; .C.A/ \ E/? / is a cotorsion pair in C.R-Mod/ which is cogenerated by a set. Bn Since 0 ! Zn1 .A/ ,! An1 ! Zn2 .A/ ! 0 is exact and since Ext1 .Zn2 .A/; B/ D 0; we see that we get the extension An1 ! Bn of Zn1 .A/ ! Bn . But this extension provides the desired homotopy A ! B. So we now have AQ  ? BQ \ E. Q Since A 2 E (and so is Now let A 2 ? BQ \ E. We want to show that A 2 A. exact), this means we must show that Zn .A/ 2 A. This means that we need to show that Ext1 .Zn .A/; B/ D 0 for all B 2 B. For B 2 B, let 0 ! B ! E ! B 0 ! 0 be exact with E injective. Then since .A; B/ is hereditary, we have that B 0 2 B. So thinking of 0 ! B ! E ! B 0 ! 0 as a complex with E in any position, we have Q So to get Ext1 .Zn .A/; B/ D 0, we need that Hom.Zn .A/; E/ ! a complex in B. Then since A 2 ? B, we use the mapping cone sequence and Proposition 3.3.2 to get that this morphism is homotopic to 0. The homotopy gives a map An ! B 0 which extends the original Zn .A/ ! B 0 . But Hom.An ; E/ ! Hom.An ; B 0 / ! Ext1 .An ; B/ D 0 is exact, so the extension An ! B 0 has a lifting An ! E. Hence the original Zn .A/ ! B 0 has a lifting Zn .A/ ! E. Consequently Ext1 .Zn .A/; B/ D 0. So Q This completes the argument that AQ D ? B\ B. Q Zn .A/ 2 A and we have that A 2 A. The argument that E \ AQ D BQ is similar. In Section 7.3, we saw how to start with a cotorsion pair .A; B/ in R-Mod which Q AQ ? /, .? B; B/ Q in is cogenerated by a set and then create the cotorsion pairs .A; C.R-Mod/. Then we saw that if .A; B/ is hereditary, this pair of pairs in a Hovey pair. This suggests we return to the results of Section 7.2 and ask if the two pairs of cotorsion pairs we formed in C.R-Mod/ give us a Hovey pair. The pairs we formed were .C.A/; C.A/? /; .C.A/ \ E, .C.A/ \ E/? /, .? C.B/; C.B// and .? .C.B \ E/; C.B/ \ E/. We want to argue that we get two associated Hovey pairs. These are .C.A/ \ E, .C.A/ \ E/? /, .C.A/; C.A/? / and .? C.B/; C.B//, .? .C.B/ \ E/; C.B/ \ E/. We will consider a single cotorsion pair in C.R-Mod/, say .C ; D/, and ask when it could be the ﬁrst pair or the second pair of a Hovey pair. In order to be the ﬁrst pair of a Hovey pair, we would need C  E and in order to be the second pair we would need D  E. The next lemma is concerned with the question of when .C ; D/ could be the second pair of Hovey pair. Lemma 7.4.1. Let .C ; D/ be a cotorsion pair in C.R-Mod/ such that D  E. Then D D E \ .C \ E/? . Proof. We have .D  E by hypothesis. Also D D C ?  .C \ E/? . So D  E \ .C \ E/? . Now let D 2 E \ .C \ E/? . We want to argue that D 2 D D C ? . So if C 2 C we need to show that Ext1 .C; D/ D 0. We now recall that .? E; E/ is a cotorsion pair which is cogenerated by a set (see section 4.1). So this cotorsion pair is complete. This means that we have an exact sequence 0 ! C ! E ! P ! 0 with E 2 E and P 2 ? E. Since D  E, we have ? E  ? D D C . So P 2 C and hence E 2 C since C is closed under extensions. So E 2 C \E. Since D 2 .C \E/? , we have that Ext1 .E; D/ D 0. But 0 ! C ! E ! D ! 0 gives the exact sequence 0 D Ext1 .E; D/ ! Ext1 .C; D/ ! Ext2 .P; D/ But now P 2 ? E and D 2 E. If 0 ! D ! I ! D 0 ! 0 is exact with I injective, then I is exact. So D 0 is exact, i.e. D 0 2 E. But then 0 D Ext1 .P; D 0 / D Ext2 .P; D/. So since Ext2 .P; D/ D 0, we get that Ext1 .C; D/ D 0. Thus we have established that D D E \ .C \ E/? . With the notation of the lemma above, we consider the prospective Hovey pair .C \ E; .C \ E/? /; .C ; D/ D .C ; E \ .C \ E/? /. In fact if the ﬁrst pair is a cotorsion pair, then we do have a Hovey pair. Theorem 7.4.2. If .A; B/ is a cotorsion pair in R-Mod which is cogenerated by a set, then .C.A/ \ E; .C.A/ \ E/? /; .C.A/; C.A/? / is a Hovey pair. Proof. With the remark immediately preceding this theorem and using Theorem 7.2.15, we see that we only need that C.A/?  E. Since .A; B/ is a cotorsion pair, we have R 2 A. Hence S k .R/ 2 C.A/ for all k. Then the claim C.A/?  E follows from Corollary 2.1.7. Dual arguments give the next result. Theorem 7.4.3. If .A; B/ is a cotorsion pair in R-Mod which is cogenerated by a set, then .? C.B/; C.B//; .? .C.B/ \ E/; C.B/ \ E/ is a Hovey pair in C.R-Mod/. These two results provide us with two Hovey pairs in C.R-Mod/ associated with the cotorsion pair .A; B/ in R-Mod. In general these pairs are distinct. 1. Prove Theorem 7.4.3. 2. Give an example where the two Hovey pairs of Theorem 7.4.2 and Theorem 7.4.3 are distinct. 3. Find an example of a cotorsion pair .A; B/ in R-Mod which is cogenerated by a set where AQ ¤ C.A/ \ E (see Sections 7.2 and 7.3). where M ! M is an isomorphism. Then since we began with a minimal injective resolution of M we get that f 0 ; f 1 ; : : : are all isomorphisms. So f W E ! E is an isomorphism. The same argument can be given in case we start with a minimal projective resolution (when such exists) or any kind of minimal resolution we get from a class F of left R-modules which is covering or enveloping (see Section 5.1 of Volume I). These examples motivate the next deﬁnition. Deﬁnition 8.1.1. A complex C 2 C.R-Mod/ is said to be homologically minimal if any homology isomorphism f W C ! C is an isomorphism in C.R-Mod/. When a ring R is local and left Noetherian, then any ﬁnitely generated left R-module M has a projective cover P ! M (see Theorem 5.3.3 of Volume I). In fact P is then free and ﬁnitely generated. If P D Rn , then Ker.P D Rn ! M /  mn where m is the maximal ideal of R. Since R is left Noetherian, Ker.P ! M / is ﬁnitely generated and so we see that M has a minimal projective resolution    ! P1 ! P0 ! M ! 0 with each Pn ﬁnitely generated and free. We also have Im.PnC1 ! Pn /  mPn for n  0. It would be of interest to characterize the homologically trivial P 2 C.R-Mod/ where each Pn is a ﬁnitely generated free module. If we use a weaker notion of minimality then we can get a complete characterization of the minimal such P .
Deﬁnition 8.1.2. A complex C 2 C.R-Mod/ is said to be homotopically minimal if every homotopy isomorphism f W C ! C (see Section 3.2) is an isomorphism. Note that if f W C ! C is a homotopy isomorphism, then f is a homology isomorphism. So if C is homologically minimal it is also homotopically minimal. But the converse is not true (see the exercises). Proposition 8.1.3. If R is a local ring with maximal ideal m and P 2 C.R-Mod/ is such that each Pn is free and ﬁnitely generated, then P is homotopically minimal if and only if Im.PnC1 ! Pn /  mPn for all n. Proof. Suppose that P satisﬁes the conditions and that f W P ! P is a homotopy isomorphism. We want to prove that f is an isomorphism. The morphism f W P ! P induces a morphism P =mP ! P =mP which is easily seen to be a homotopy isomorphism. So P =mP ! P =mP is a homology isomorphism. But by our condition on P , we have that dnC1 .PnC1 /  mPn for each n and so the d on P =mP is 0. Hence P =mP ! P =mP is an isomorphism. This means Pn =mPn ! Pn =mPn is an isomorphism for every n. But then by Nakayama’s lemma, fn W Pn ! Pn is an isomorphism and so f W P ! P is an isomorphism. Conversely, suppose P is homotopically minimal. If dnC1 .PnC1 / ª mPn for some n, let y 2 PnC1 ; n C 1.y/ … mPn . So PnC1 ; Pn ¤ 0 and y and dnC1 .y/ are parts of bases of PnC1 and Pn , respectively. We have the subcomplex T D    ! 0 ! Ry ! Rx ! 0 !    of P with Ry Š Rx Š R. So the complex T is homotopically trivial. We now claim T is a direct summand of P . For consider the exact sequence 0 ! T ,! P ! P =T ! 0. By our choice of T , this sequence splits at the module level. So it can be thought of as the short exact sequence associated with a mapping cone of a morphism g W S.P =T / ! T . But T is homotopically trivial and so g Š 0. But this gives that the sequence is split exact. So we have P D T ˚ P =T . But then the morphism 0 ˚ idP =T W P ! P is a homotopy isomorphism which is not an isomorphism. This contradiction shows we must have dnC1 .PnC1 /  mPn for every n. We now would like to characterize the homotopically trivial I 2 C.R-Mod/ where each In is injective. The characterization and the argument are similar (in a dual sense) to that given in Proposition 8.1.3 above. However, the step corresponding to the fact that T  P is a direct summand of P will require the next result. Lemma 8.1.4. If g W C ! D is a morphism in C.R-Mod/ such that the morphism D ! C.g/ of the exact sequence 0 ! D ! C.g/ ! S.C / ! 0 is a homotopy isomorphism, then S.C / is homotopically trivial. Ln 0 Kn . Now suppose g ı f Š idC . So idC  g ı f D d ı s C s ı d . If we apply this equation to x 2 Ln and use the fact that x 2 Ker..g ı f /n / \ Ker.dn /, we get that x D dnC1 .sn .x//. So sn jLn and dnC1 jsn .Ln / are injections. Hence sn .Ln / \ ZnC1 .I / D 0. But then, by 3), sn .Ln / D 0. So Ln D 0 and thus since Ln 0 Kn , we have that Kn D 0.
exact sequence 0 ! I ! I ! Coker.f / ! 0. Since In is injective for each n, we have that this sequence splits at the module level and so can be thought of as a short exact sequence associated with a mapping cone. By Lemma 8.1.4, we get that Coker.f / is homotopically trivial. Now we appeal to Proposition 3.3.3. Note that since f is a homotopy isomorphism, Œf  clearly admits a retraction (and in fact an inverse) in K.R-Mod/. This means we can write I D I 0 ˚Coker.f / (where I 0 Š I ). Since Coker.f / is homotopically trivial, we can create a homotopy isomorphism g W I ! I that is 0 on Coker.f /. But from the above, we know Ker.g/ D 0. Hence Coker.f / D 0 and so f is an isomorphism. Lemma 8.1.6. Let C; D 2 C.R-Mod/ be homotopically minimal. If f W C ! D is a homotopy isomorphism, then f is an isomorphism. Proof. If g W D ! C is such that Œg D Œf 1 , then g is also a homotopy isomorphism. So g ı f W C ! C is a homotopy isomorphism. Thus g ı f is an isomorphism since C is minimal. Similarly f ı g is an isomorphism. Hence f (and g) are isomorphisms. 0. Then Un is injective and we have the injective subcomplex    ! 0 ! Un ! dn .Un / ! 0 !    of I . The sum of these subcomplexes is direct. So if I is this sum, then I is injective. So I is a direct summand of I . If I D I 0 ˚ I 00 , then by the construction of I 00 we get that I 00 is homotopically minimal (by (3) of Proposition 8.1.5). So we have the desired decompositions I D I 0 ˚I 0 . If J D J 0 ˚J 0 is another such decomposition, then I 0 ! I and I ! J 0 are homotopy isomorphism since I 0 and J 00 are homotopically trivial. Hence the composition I 0 ! I ! J 0 is a homotopy isomorphism. So I 0 ! J 0 is a homotopy isomorphism. Thus by Lemma 8.1.6, I 0 ! J 0 is an isomorphism. 1. a) Find a module M having a submodule S such that Hom.M=S; M / D 0 and such that there is an endomorphism f W M ! M with f .S /  S such that S ! S is an automorphism of S but such that f W M ! M is not an automorphism of M . b) Let C D    ! 0 ! M ! M=S ! 0 ! 0 !    (with M in the 0th place). Argue that C is homotopically trivial but not homologically trivial. 2. If C and C 0 in C.R-Mod/ are homologically (homotopically) minimal, show that C ˚ C 0 is homologically (homotopically) minimal. Hint. Look at exercise 3 of Chapter 4 of Volume I. 3. If R is a left perfect ring and P 2 C.R-Mod/ is such that all Pn are projective, prove that P has a direct sum decomposition P D P 0 ˚ P 00 where P 0 is homotopically minimal and where P 00 is homotopically trivial. 4. If    ! P1 ! P0 ! M ! 0 is a projective resolution of the left R-module M , let P D    ! P1 ! P0 ! 0 !    . If P has a direct sum decomposition P D P 0 ˚ P 00 as in 3 above, argue that    ! P20 ! P10 ! M ! 0 is a minimal projective resolution of M . 5. Let P 2 C.R-Mod/ be such that every Pn is ﬁnitely generated and projec tive. Let P  be the complex    ! P1 ! P0 ! P1 !    where Pn D Hom.Pn ; R/ is the algebraic dual of Pn . Argue that P is homotopically minimal if and only if P  is homotopically minimal. 6. Prove that a ring R is left perfect if and only if every P 2 C.R-Mod/ with all Pn projective has a direct sum decomposition P D P 0 ˚ P 00 with P 0 homotopically minimal and P 00 homotopically trivial. 7. Find examples of short exact sequences 0 ! C 0 ! C ! C 00 ! 0 in C.R-Mod/ where C 0 and C 00 are homotopically trivial but where C is not homotopically trivial. A Cartan and Eilenberg projective resolution of a complex C is a certain exact sequence of complexes    ! P 1 ! P 0 ! C ! 0 To deﬁne these resolutions we need to begin with the notion of a Cartan–Eilenberg projective complex. Then we will consider an injective version of these notions. Deﬁnition 9.1.1. A complex P 2 C.R-Mod/ is said to be Cartan–Eilenberg projective complex (hereafter called a C–E projective complex) if P , Z.P /, B.P /, and H.P / all have each of their terms a projective module. Remarks and Examples 9.1.2. A direct sum of a family of complexes is C–E proN jective if and only if each of the summands is C–E projective. For any k 2 Z, S k .R/ and S k .R/ are C–E projective. Hence any free, and so any projective complex is C–E projective. Also any complex P with all Pn projective and such that d P D 0 is C–E projective. The next result shows that from these observations we can ﬁnd all C–E projective complexes. Proposition 9.1.3. A complex P 2 C.R-Mod/ is a C–E projective complex if and only if P has a direct sum decomposition P D P 0 ˚ P 00 where P 0 is a projective 00 complex and where P 00 has all its terms projective and 0 differential (i.e. d P D 0). Proof. Assume P D P 0 ˚ P 00 with P 0 projective and where each Pn00 is projective 00 and d P D 0. Then by the remarks above P is C–E projective. Conversely, assume P is C–E projective. For every n we have the exact sequence 0 ! Zn .P / ! Pn ! Bn1 .P / ! 0 and 0 ! Bn .P / ! Zn .P / ! Hn .P / ! 0: Since Bn1 .P / and Hn .P / are projective modules, these sequences are split exact. Note that this precover is an epimorphism and so every precover is an epimorphism. can be completed to commutative diagrams. Furthermore, when these conditions hold we get 0 ! B.K/ ! B.Q/ ! B.C / ! 0 0 ! K=Z.K/ ! Q=Z.Q/ ! C =Z.C / ! 0 0 ! K=B.K/ ! Q=B.Q/ ! C =B.C / ! 0 0 ! H.K/ ! H.Q/ ! H.C / ! 0 are exact. Proof. First note that if Q ! C is a C–E projective precover, then Q ! C ! 0 is exact and so 0 ! K ! Q ! C ! 0 is exact. And if this sequence is exact, so is 0 ! Z.K/ ! Z.Q/ ! Z.C /. Hence we see that the equivalence of b) and c) is given by Lemma 9.2.2. N C/ Š Using the isomorphisms Hom.S k .R/; C / Š Zk .C / and Hom.S k .R/; CkC1 , we see that c) , b). We get c) , a) by using Proposition 9.1.3 and the observation that (with the notation of that result) that we have P D P 0 ˚ P 00  F D F 0 ˚ F 00 with P 0 a direct summand of F 00 where F 0 is free and F 00 has all its terms 00 N and F 00 Fn00 free and where d F D 0. So then F 0 is a direct sum of copies of S k .R/’s k of copies of S .R/’s. The last claim follows from Lemma 9.2.2 above. Theorem 9.2.4. If    ! P 2 ! P 1 ! P 0 ! C ! 0 is a complex of complexes in C.R-Mod/ where each P n is C–E projective, then it is a C–E projective resolution of C if and only if it is exact and    ! Z.P 2 / ! Z.P 1 / ! Z.P 0 / ! Z.C / ! 0 is exact. When this is the case, 1)    ! B.P 2 / ! B.P 1 / ! B.P 0 / ! B.C / ! 0, 2)    ! P =Z.P 1 / ! P 0 =Z.P 0 / ! C =Z.C / ! 0, 3)    ! P 1 =B.P 1 / ! P 0 =B.P 0 / ! C =B.C / ! 0 and 4)    ! H.P 1 / ! H.P 0 / ! H.C / ! 0 are also exact. Proof. These claims follow from Proposition 9.2.3 above and the deﬁnition of a C–E projective resolution. We note that when we have such a resolution as in the above, then at the module level, we get the projective resolutions    ! Pn1 ! Pn0 ! Cn ! 0    ! Zn .P 1 / ! Zn .P 0 / ! Zn .C / ! 0 and so forth. The deﬁnitions and results of this section are dual to those of Sections 9.1 and 9.2. Deﬁnition 9.3.1. A complex I 2 C.R-Mod/ is a C–E injective complex if I , Z.I /, B.I / and H.I / all have each of their terms an injective module. A product of complexes is C–E injective if and only if each of the complexes is C–E injective. Any direct summand of a C–E injective complex is C–E injective. Proposition 9.3.2. A complex I 2 C.R-Mod/ is C–E injective if and only if I has a direct sum decomposition I D I 0 ˚ I 00 where I 0 is injective and I 00 has all its terms 00 injective modules and d I D 0. Proof. Dual to that of Proposition 9.1.3. Proposition 9.3.3. Every C 2 C.R-Mod/ has a C–E injective preenvelope. Proof. If C ! I 0 and C =B.C / ! I 00 are monomorphisms where I 0 is an injective 00 complex and I 00 has all its terms injective and d I D 0, then C ! I 0 ˚ I 00 is a C–E injective preenvelope. A C–E injective resolution of C 2 C.R-Mod/ is deﬁned in the obvious manner. Theorem 9.3.4. If 0 ! C ! I 0 ! I 1 !    is a complex of complexes in C.R-Mod/ where each I n is C–E injective, then it is a C–E injective resolution of C if and only if 0 ! C ! I 0 ! I 1 !    and 0 ! C =B.C / ! I 0 =B.I 0 / ! I 1 =B.I 1 / !    are exact. When this is the case, we get all four of the other related sequences exact, namely that the following 1) 0 ! Z.C / ! Z.I 0 / ! Z.I 1 / !    2) 0 ! B.C / ! B.I 0 / ! B.I 1 / !    3) 0 ! C =Z.C / ! I 0 =Z.I 0 / ! I 1 =Z.I 1 / !    4) 0 ! H.C / ! H.I 0 / ! H.I 1 / !    are exact. Proof. We only indicate the modiﬁcations we need to carry out the duals of the corresponding result concerning a C–E projective resolution. We ﬁrst note that if I is an injective module, then S k .IN/ and S k .IN/ are C–E injective complexes. For C 2 C.R-Mod/, we have isomorphisms Hom.C; S k .IN// Š Hom.CkC1 ; I / and Hom.C; S k .I // Š Hom.Ck =Bk .C /; I /. With these observations the proof can be completed. The balance in this section is that of Chapter 8 of Volume I. Proposition 9.4.1. Let 0 ! K ! P ! C ! 0 be exact in C.R-Mod/ where P ! C is a C–E projective precover of C . If I 2 C.R-Mod/ is C–E injective, then 0 ! Hom.C; I / ! Hom.P; I / ! Hom.K; I / ! 0 is exact. Proof. We use the decomposition I D I 0 ˚ I 00 of Proposition 9.3.2. Then using the structure theorem for injective complexes (see Chapter 1), we see that we only need to prove that if I 2 R-Mod is an injective module then Hom.; S k .IN// and Hom.; S k .I // each leaves the sequence 0 ! K ! P ! C ! 0 exact. But then we use the isomorphisms given at the end of the proof of Theorem 9.3.4 and see that the claim follows from the exactness of 0 ! K ! P ! C ! 0 and 0 ! K=B.K/ ! P =B.K/ ! C =B.C / ! 0, i.e, from the exactness of 0 ! Kn ! Pn ! Cn ! 0 and of 0 ! Kn =Bn .K/ ! Pn =Bn .P / ! Cn =Bn .C / ! 0 for each n 2 Z. The dual result with a dual proof is: Proposition 9.4.2. Let 0 ! D ! I ! C ! 0 be exact in C.R-Mod/ where D ! I is a C–E injective preenvelope of D. If P 2 C.R-Mod/ is C–E projective, then 0 ! Hom.P; D/ ! Hom.P; I / ! Hom.P; C / ! 0 is exact. The two results give us the main result of this section. Theorem 9.4.3. The functor Hom.; / on C.R-Mod/  C.R-Mod/ is right balanced by C–E Proj  C–E Inj where C–E Proj is the class of C–E projective complexes and C–E Inj is that of the C–E injective complexes. 1. Let P D P 0 ˚ P 00 D Q0 ˚ Q" be two decompositions of a C–E projective complex P as in Proposition 9.1.3. Argue that P 00 ! P 0 ˚ P 00 D Q0 ˚ Q00 ! Q00 is a homology isomorphism. So deduce that P 00 ! Q00 is an isomorphism. 2. Let D 2 C.R-Mod/ have d D D 0. Show that D has a C–E injective envelope D ! I and that d I D 0. 3. Let 0 ! C 0 ! C ! C 00 ! 0 be an exact sequence in C.R-Mod/. Prove that 0 ! Hom.P; C 0 / ! Hom.P; C / ! Hom.P; C 00 / ! 0 is exact for every C–E projective complex P if and only if 0 ! Z.C 0 / ! Z.C / ! Z.C 00 / ! 0 is exact. 4. If 0 ! C 0 ! C ! C 00 ! 0 in C.R-Mod/ is exact and if 0 ! Z.C 0 / ! Z.C / ! Z.C 00 / ! 0 is exact, prove the C–E projective version of the horse shoe lemma. 5. Let P 2 C.R-Mod/ and suppose that B.P / and H.P / both have all their terms projective. Argue that P is a C–E projective complex. 6. Given P D P 0 ˚ P 00 ! C in C.R-Mod/ where P 0 is projective and P 00 has all 00 its terms projective and d P D 0. If P 00 ! Z.C / and P 0 ! C ! C =Z.C / are both epimorphisms, argue that P ! C is a C–E projective precover. 7. Let .C i /i2I be a family of complexes in C.R-Mod/. Show are C– L Lthat there i is a C–E E projective precovers P i ! C i such that i2I P i ! C i2I i ! C i is a C–E projective precover for projective precover. Deduce that if Q L L each i 2 I then i2I Qi ! i2I C i is also a C–E projective precover. 8. If P; E 2 C.R-Mod/ where P is C–E projective and E is exact prove that Ext1 .P; E/ D 0. Then argue that if E is such that Ext1 .P; E/ D 0 for all C–E projective complexes P , then E is exact. 9. Prove that a product of C–E injective preenvelopes is a C–E injective preenvelope. Chapter 1. The material in this chapter is standard. The characterizations of the projective and injective complexes are well known but perhaps hard to ﬁnd. Chapter 2. The interpretation of elements of Ext1 .M; N / (where M and N are modules) as short exact sequences can be found in MacLane . The arguments are categorical and so carry over to more general abelian categories. Much more information on mapping cones can be found in Verdier’s thesis . Chapter 3. Most of the material in this chapter is standard, but the approach owes much to Bourbaki . This is background material for reading about triangulated and derived categories. The splitting results appeared in  and . The Koszul section (i.e. Section 3.5) can be found in Greenlees and Dwyer . Chapter 4. Cotorsion pairs were introduced by Salce  in the category of abelian groups. The terminology seems to have come from Harrison’s thesis . Interest in them was stirred by the Eklof–Trlifaj paper  and by applications in categories of complexes (Enochs, Jenda, Xu ). The Dold triplet (but not with that terminology) appeared in that paper, but it was Greenlees and Dwyer’s work  that suggested the results in Section 4.2. Chapter 5. The topic of this chapter is from Neeman  but the approach is that of Bravo, Enochs, Jacob, Jenda, and Rada. Chapter 6. The material in this chapter can be found in Hovey . Chapter 7. The treatment of the Hill lemma is from Göbel and Trlifaj . Much of the rest of the chapter is based on work of Gillespie (see  and ). Chapter 8. The fact that minimal projective and injective resolutions give rise to homologically minimal complexes was noticed once the existence of these minimal resolutions was observed. The ﬁrst deﬁnition of a homotopically minimal complex seems to have been given in Enochs, Jenda, Xu . In that paper there was an early version of Proposition 8.1.5 (Proposition 3.15 of ). The complete version is due to Krause . Proposition 8.14 is from Avramov and Martsinkovsky . Chapter 9. These resolutions were introduced in the last chapter of Cartan and Eilenberg (). Verdier gave the deﬁnition of a Cartan–Eilenberg injective complex in his thesis (, Deﬁnition 4.6.1). 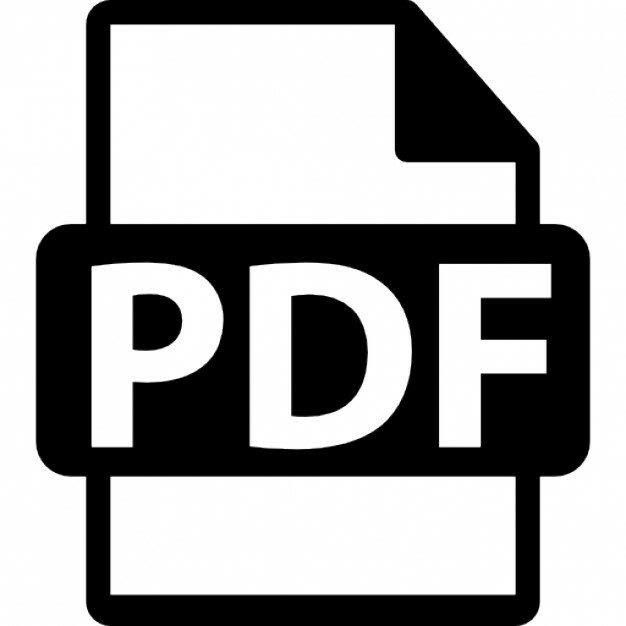 Luchezar Avramov and Alex Martsinkovsky, Absolute, relative and Tate cohomology of modules of ﬁnite Gorenstein dimension, Proc. London Math. Soc. (3) 85 (2002), no. 2, 393–440. Nicholas Bourbaki, Algebre, Chapitre 10, Algebre Homologique, Masson, Paris, 1980. Diego Bravo, Edgar Enochs, Alina Iacob, Overtoun Jenda and Juan Rada, Cotorsion pairs in C.R-Mod/, to appear in Rocky Mt. Journal of Mathematics. 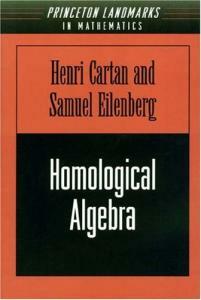 Henri Cartan and Samuel Eilenberg, Homological Algebra, Princeton University Press, Princeton, New Jersey, 1956. Albrecht Dold, Zur Homotopietheorie der Kettenkomplexe, Math. Ann. 140 (1960), 278–298. Paul Eklof and Jan Trlifaj, How to make Ext vanish, Bull. London Math. Soc. 33 (2001), 41–51. 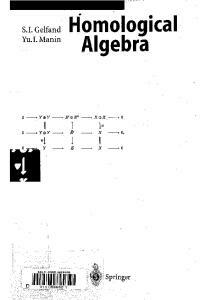 Edgar Enochs, Cartan–Eilenberg complexes and resolutions (to appear in J. Algebra). 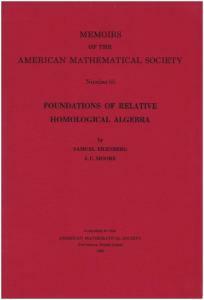 Edgar Enochs and Overtoun Jenda, Relative Homological Algebra, De Gruyter Exposition in Mathematics, volume 30, De Gruyter, Berlin, 2000. Edgar Enochs, Overtoun Jenda and Jinzhong Xu, Orthogonality in the category of complexes, Math. J. Okayama Univ. 38 (1997), 25–46. Juan Ramon Garda Rozas, Covers and Envelopes in the Category of Complexes of Modules, Chapman and Hall/CRG Research Notes in Mathematics 407. Chapman and Hall/CRC, Boca Raton, Florida, 1999. James Gillespie, Cotorsion pairs and degreewise homological model structures, Homology, Homotopy and Applications 10 (1) (2008), 283304. James Gillespie, Kaplansky classes and derived categories, Math. Zeit. 257 (4) (2007), 811–843. Rüdiger Göbel and Jan Trlifaj, Approximations and Endomorphism Algebras of Modules, De Gruyter Exposition in Mathematics, volume 41, De Gruyter, Berlin, 2006. William G. Dwyer and John P. C. Greenlees, Complete modules and torsion modules, Amer. J. Math. 124 (2002), no. 1, 199–220. D. K. Harrison, Inﬁnite abelian groups and homological methods, Ann. Math. 69 (1959), 366–391. Paul Hill, The third axiom of count ability for abelian groups, Proc. Amer. Math. Soc. 82 (1981), 347–350. Mark Hovey, Cotorsion pairs, model structures, and representation theory, Math. Z. 241 (2002), no. 3, 553–592. Henning Krause, The stable derived category of a Noetherian scheme, Compos. Math. 141 (2005), no. 5, 1128–1162. 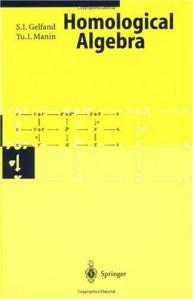 Saunders MacLane, Homology, Springer-Verlag, Berlin, 1995. Amon Neeman, Some adjoints in homotopy categories, Ann. of Math. (2) 171 (2010), no. 3, 2143–2155. Luigi Salce, Cotorsion theories for abelian groups, Symp. Math. 23 (1979), 11–32. Jean-Louis Verdier, Des categories derivee des categories abeliennes, Asterique 239 (1997). 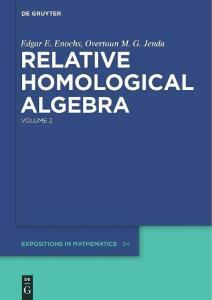 Report "Relative Homological Algebra (De Gruyter Expositions in Mathematics)"